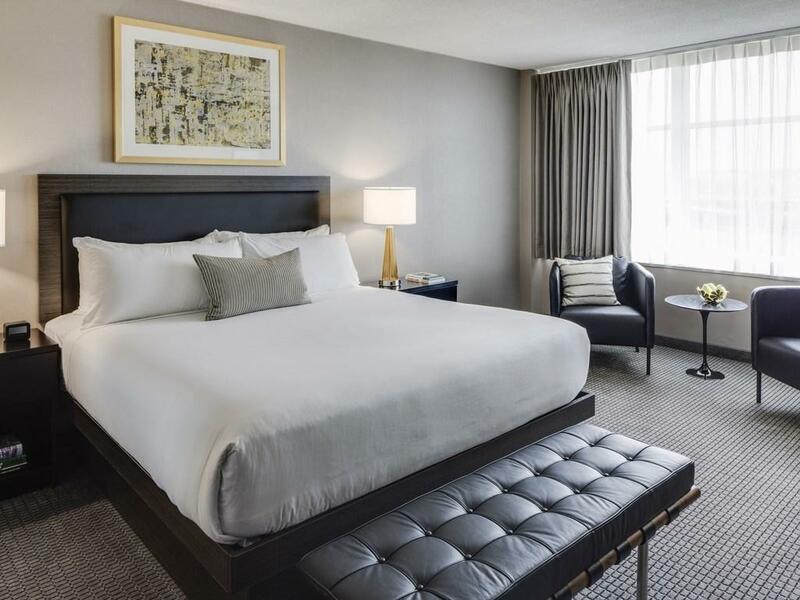 In the heart of Washington DC’s hottest new neighborhood, the Capitol Skyline Hotel redefines the notion of an urban chic hotel. First designed in 1962 by Morris Lapidus – architect of the renowned Fontainebleau Hotel in Miami Beach – and recently refreshed by New York interior designer Scott Sanders – the creator of the Ralph Lauren Interior Design Department – our hotel boasts uber-chic architecture and interiors unlike any hotel in the nation’s capital. 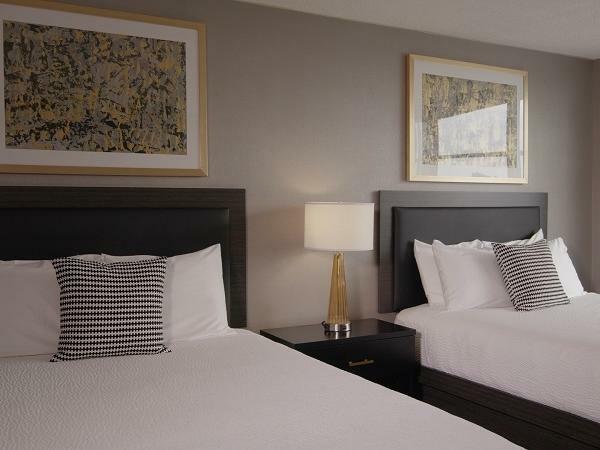 We are located five blocks from the United States Capitol, a ten-minute walk from the Smithsonian and National Mall and just steps from Nationals Stadium, Audi Field, The Waterfront and Yard Park. We are also three blocks from Metro's Navy Yard Station, bringing all of DC directly to your doorstep. 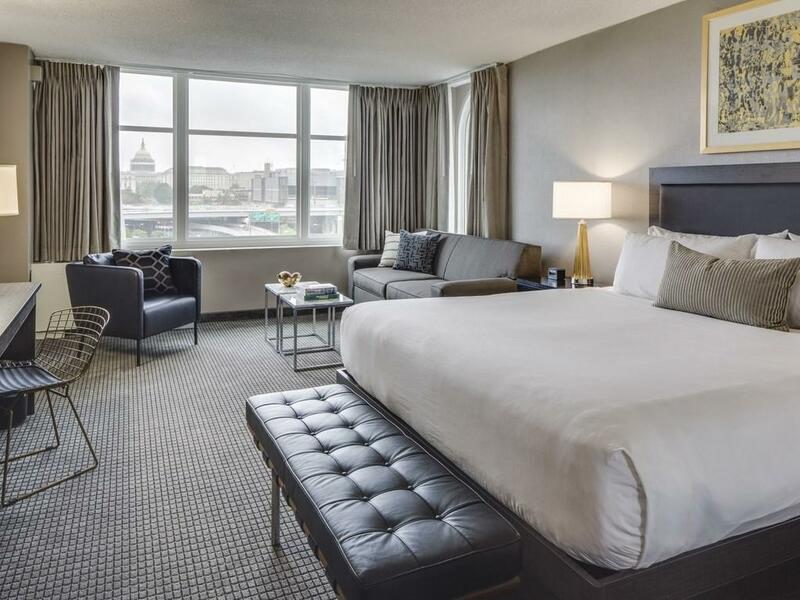 Capitalizing on this coveted setting, many of our guest rooms offer a breathtaking view of the Capitol dome through expansive windows. Lounge, swim or see and be seen by our glamorous Olympic-sized pool, consistently voted the best in the city by nearly every local media outlet. Overlooking the pool is our newly appointed 5,000 square feet of catering space, plus 15,000 square feet of outdoor entertainment venues. Additionally, a newly renovated sports campus is now directly across the street, offering guests tennis courts, a playground and baseball and soccer fields. Onsite, you will enjoy complimentary perks that include Wi-Fi throughout the hotel, a weekly guest cocktail hour for guests and local shuttle service. Our Lapidus Restaurant and Morris Bar & Lounge showcase creative new food, wine and cocktail menus, while our reimagined poolside venue features a fresh lounge scene with chill-out lounge music, cabanas available on first come, first serve basis, stylish pool furniture and family-oriented holiday weekend events. The Communal Kitchen Studio is designed for extended-stay guest who wish to prepare their own meal or snack just the way they would at home. Deluxe Double Capitol View Premium room is the right choice for guests traveling with a companion. It provides two plush Queen size beds and plenty of space to relax and work all at the same time. Deluxe King Capitol view room allows guests to experience spectacular views without sacrificing functionality or comfort. 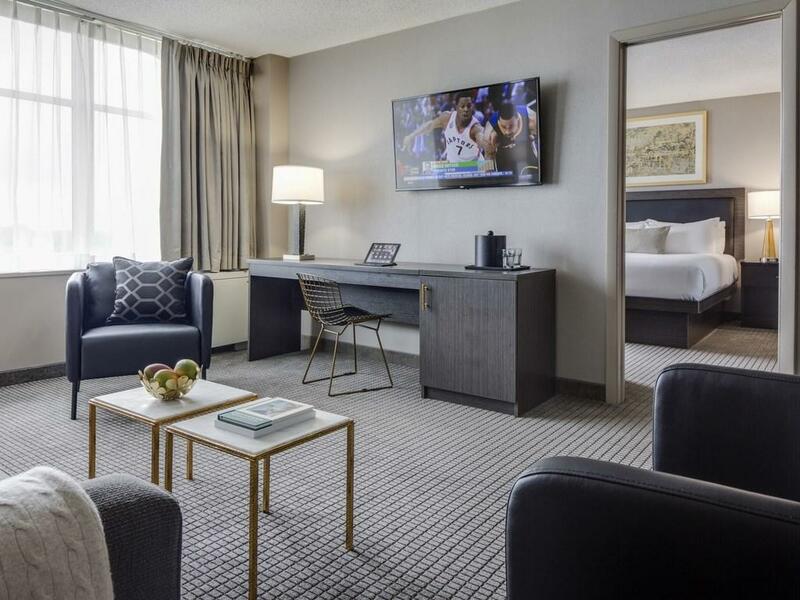 Our luxury Skyline Suite is composed of a divided bedroom with a plush King bed as well as a large living room area with a beautifully designed Queen size sleeper sofa and a comfortable living area to relax or to have a small meeting. 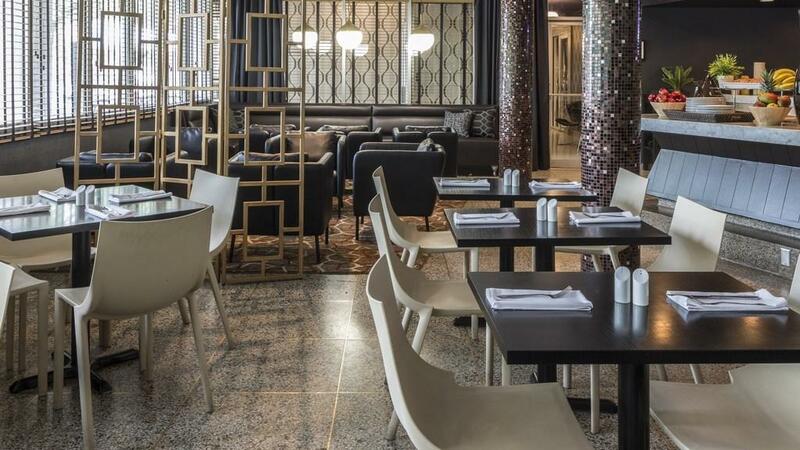 Lapidus Restaurant honors the hotel's famed designer Morris Lapidus. Lapidus was prolific in the 1960's creating out of the box designs that echoed the excitement of the era. 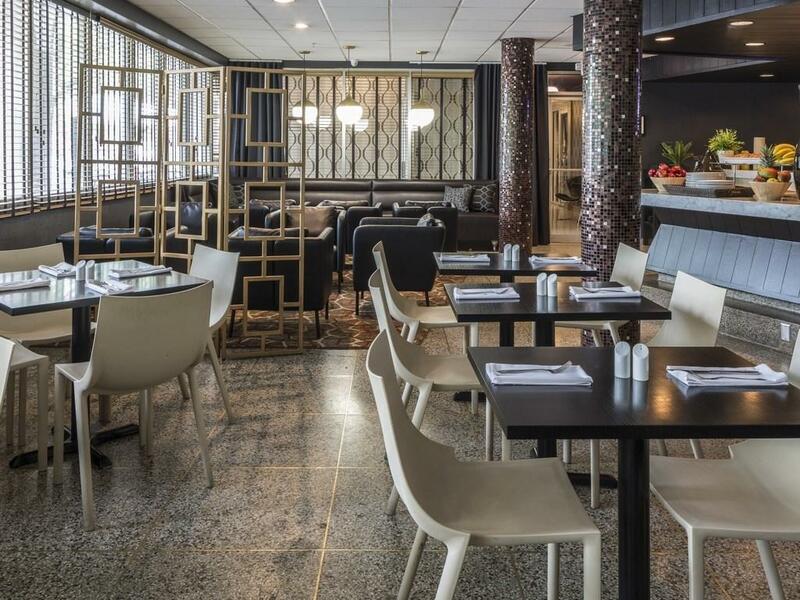 Enjoy the contemporary design of Lapidus during your stay and savor our casual American fare. 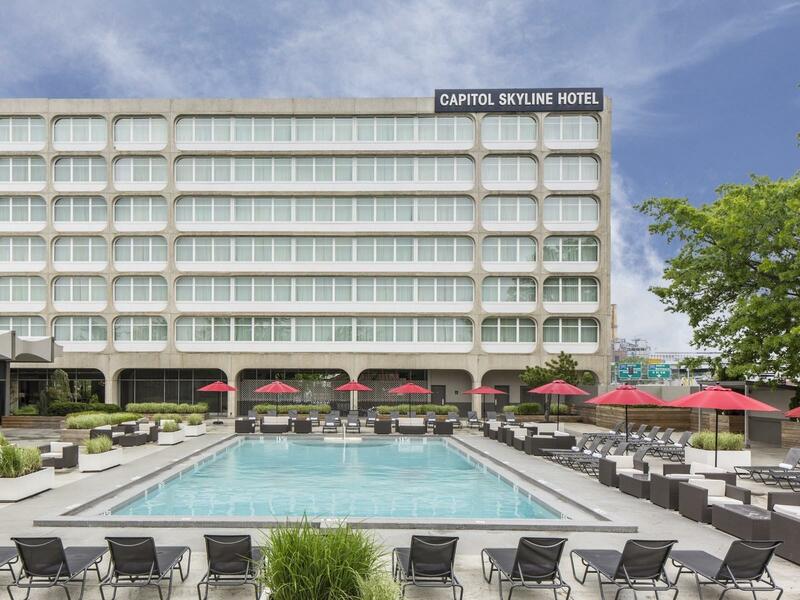 Don’t miss out on exclusive deals and travel packages from the Capitol Skyline Hotel. 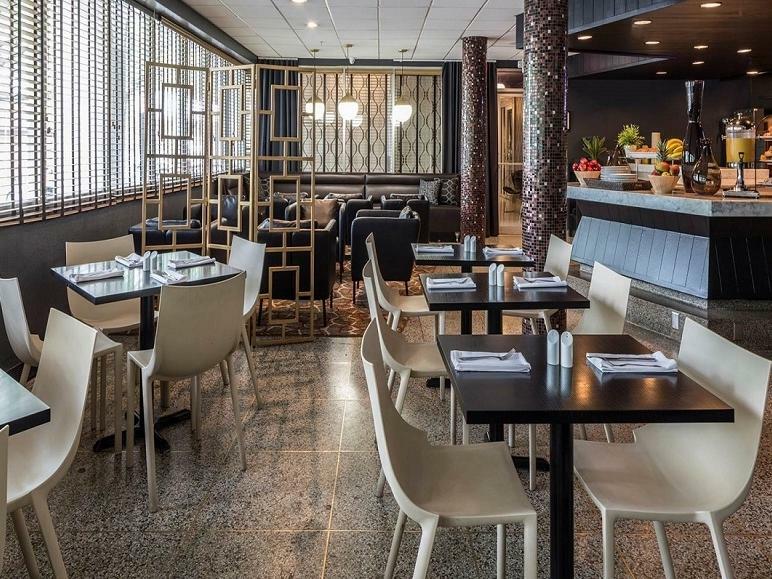 We offer special discounts on local attractions, and our service-oriented, accommodating staff will help you you make the most of your time in Washington, DC. If you’re traveling with a tour group for a wedding or event, we offer generous rates on room blocks. 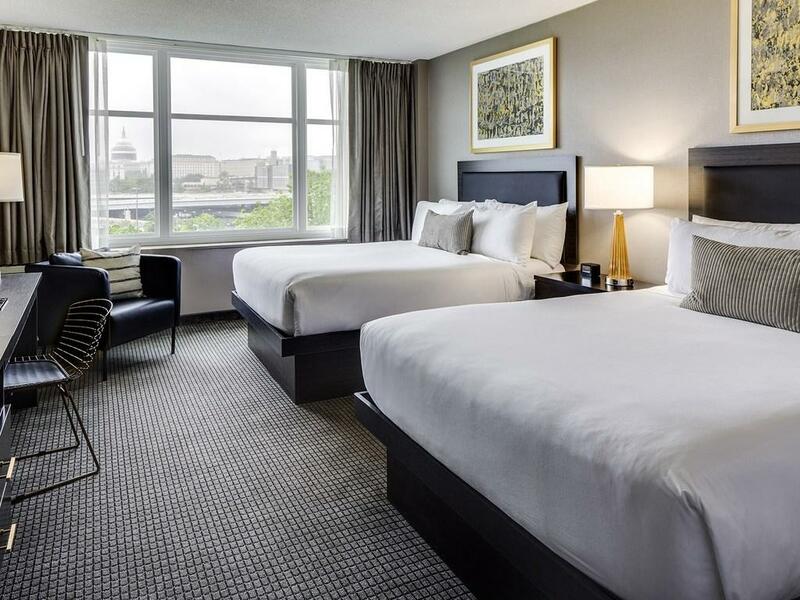 Next time you’re in the nation’s capital, our hotel will help you find the best ways to save. Earn up to 15% off your luxury room with our Advanced Purchase Offer. Enjoy full American buffet breakfast in Lapidus restaurant! Enjoy a Hassle Free Stay with the a great parking deal. Each summer, the Capitol Skyline pool transforms into relaxed and "chill" environment with cool house music, cabanas (available on a first come, first served basis) stylish pool furniture and holiday weekend "pool parties" with DJs.